William T. (Bill) Young, Jr. was sworn in as Mayor of Walterboro in July of 2009. Beginning In 1989, Young was elected and re-elected by the people of Walterboro to represent them for five consecutive terms on City Council. He is in his second term as mayor of Walterboro. In addition to serving three terms as Mayor Pro-tem , Young served as the City's budget chairman for sixteen years. Young represented the City of Walterboro on the Lowcountry Council of Governments for many years where he served on the transportation committee, the executive committee and as board chairman. Young serves as City Council's liaison to Friends of the Great Swamp Sanctuary Committee. He serves as a member of the Walterboro-Colleton Airport Commission where he is vice-chairman, Chairman of the Walterboro Tourism Commission, the Colleton County Economic Alliance, and is a founding board member of The Colleton Center. Young has a BA degree from the University of SC and an M.Ed degree in administration and supervision from the Citadel. He is also a graduate of the SC Municipal Association's Institute of Government and the Advanced Institute. Mayor Young is a Riley Fellow having completed the Diversity Leaders Initiative, a program of the Riley Institute at Furman University. 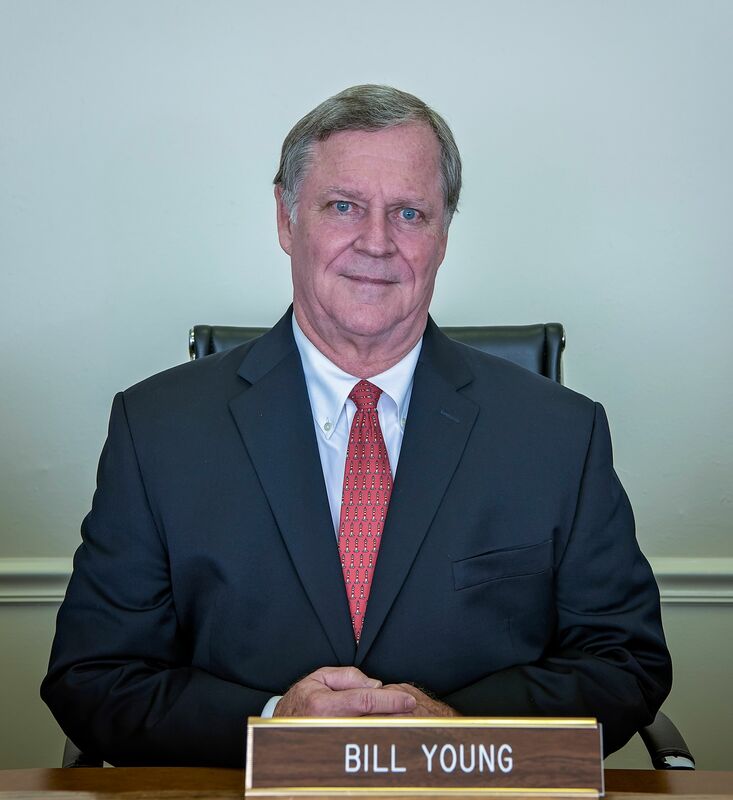 Mayor Young was elected, and currently serves as president of the South Carolina Municipal Association which represents all 270 of South Carolina’s cities and towns. Young grew up working in his family's grocery business. After graduating from college, he accepted a position as band director for the Walterboro Schools, a job he held for his entire career of 32 years. During his tenure as band director, Young's bands won 9 State Championships and 13 consecutive Lower State Championships. His bands also represented South Carolina in a Presidential Inaugural parade, The Tournament of Roses Parade in Pasadena, California, and the Macy's Thanksgiving Day Parade in New York. The band performed for numerous gubernatorial inaugurals. Young was elected and served as president of the SC Band Directors Association and has been inducted into the SC Band Directors Hall of Fame and the SC Music Educators Hall of Fame. The band's field at Colleton County High School bears his name. Early in his career, Young was named the state's outstanding young educator by the SC Jaycees. In 2005, Young was awarded the Order of the Silver Crescent in recognition of his dedication, commitment and leadership on behalf of the citizens of South Carolina. Young retired from teaching in 2005 and has worked in real estate sales since that time. He is a member of Bethel Presbyterian Church where he is an ordained Elder. His wife Janice is a retired early childhood teacher. They have four children and five grandchildren.